Broadway in the Boros is ready to bring more free musical performances to neighborhoods across the city! 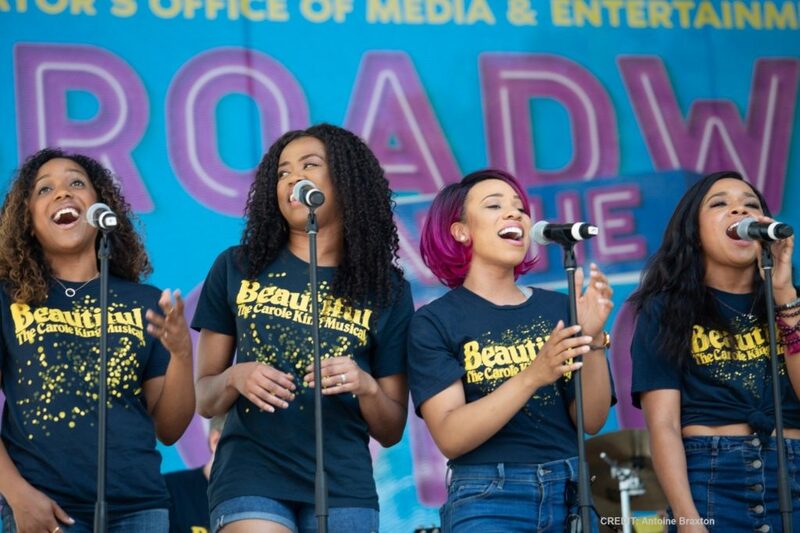 The Mayor’s Office of Media & Entertainment (MOME) was most recently in Queens where more than a thousand people came out to watch current Broadway casts from “Beautiful: The Carole King Musical” and “Once On This Island,” the 2018 Tony Award winner for Best Musical Revival. MOME’s First Deputy Commissioner Kai Falkenberg and Council Member Jimmy Van Bramer pumped up the crowd, and Julie James, host of SiriusXM’s “On Broadway”, emceed. The series heads to Staten Island next on Friday, July 13 from 12pm-1pm at Lighthouse Point Plaza where casts from TONY Award-winning musical “Wicked” and the 2018 Tony Award winner for Best Musical “The Band’s Visit” will perform. Our last show of the summer will take place at Soundview Park in the Bronx on July 27. All details can be found here.